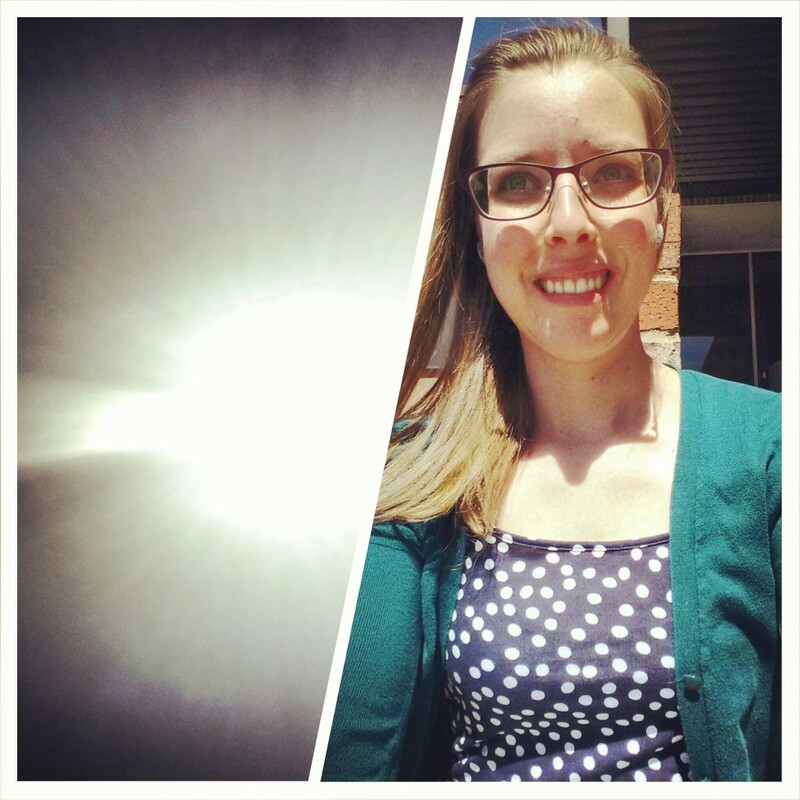 Each week Amanda [Running with Spoons] hosts Thinking Out Loud Thursday. A chance for us to do some brain-dump blogging. And to hang out with fun people. 1 – Five years ago today a cute boy from work asked me out for an afternoon coffee. We’d worked together for a few years, but didn’t really know each other. Over coffee (and…cheez-its I believe) we talked for the entire afternoon, and into the evening – until he finally had to go in to work at 7pm. And then we blinked. And we’d been best friends for 5 years. And married for 2. I can’t imagine a single day of the last 5 years, or all of the ones I have left with anyone else by my side. 2 – Enough sappy stuff already..right? 3 – Apparently Winter understood my little pep talk last week. 70 degrees, anyone? 4 – There’s been a lot of running this week. Because…Sunshine. 5 – Also happening? Walking to work. IN.LOVE. 6 – This week I learned how to make coconut bacon from THIS recipe. 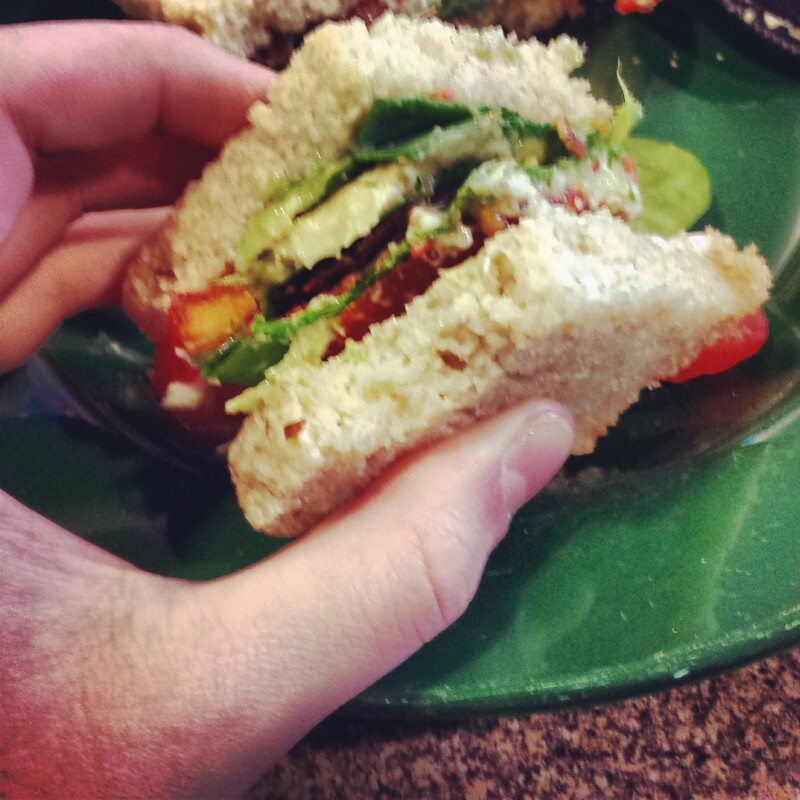 Now – I have zero desire to eat any real bacon, but some coconut bacon on a BALT (bacon, avocado, lettuce, tomato)? YES PLEASE. 7 – Our softball team has started practicing (if you missed it – I’ve never played in my life…but signed up for a work team). My skills include: Running. My skills need improvement on: Batting, Throwing and Catching. But…I’m getting there? 8 – Dinner ideas tonight? Zero. Want to read more awesome Thursday thoughts? Click here! 🙂 🙂 Thanks!!! He’s amazing!